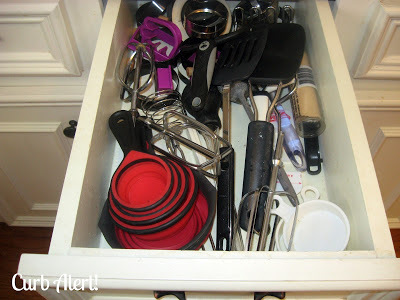 Here is a sneak peek into our kitchen utensil drawers. 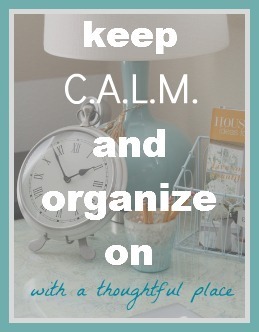 To a neurotic person that thrives on organization and control (me) this drives ya’ nuts. We have lived in our current home for almost 5 years now and every time I use these drawers I say to myself that I am going to find a way to make them prettier. Wow, I see that I really need to use the Clorox Cleanup around here a little more often! Don’t get me wrong, even though I DO NOT enjoy cooking – I DO love my kitchen. It makes me happy and most of our family activity happens in there. 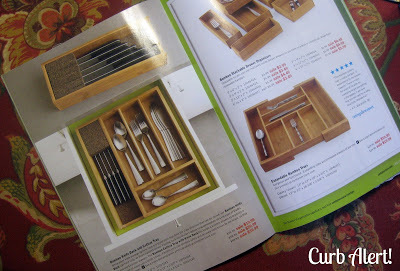 This week I received the new flyer from The Container Store and envied the cutlery trays pictured. I have purchased these before (version from Walmart) to only bring them home and not fit in our drawers. Frustrating. I finally decided to make my own and love how they turned out. Here is a quick run down on how I did it. 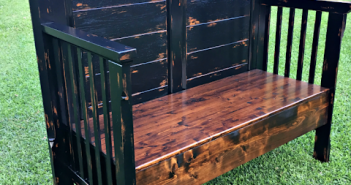 I used wood that I received free from a local Freecycle ad. You may recall reading about it HERE. Clean out your messy drawers and take measurements. Remember “measure twice, cut once”. Measure the pieces so they fit about half way up the drawers, so that it would fit a lot of silverware but allow you to fit your hands easily into the slots when trying to grab them. Cut them with the table saw ( use your eye protection!) Yep that sounds good but I’m not super carpenter so I had to do a few trial runs and cut and sand a few times till they all fit properly, no biggie! It’s only a few steps out to the garage. 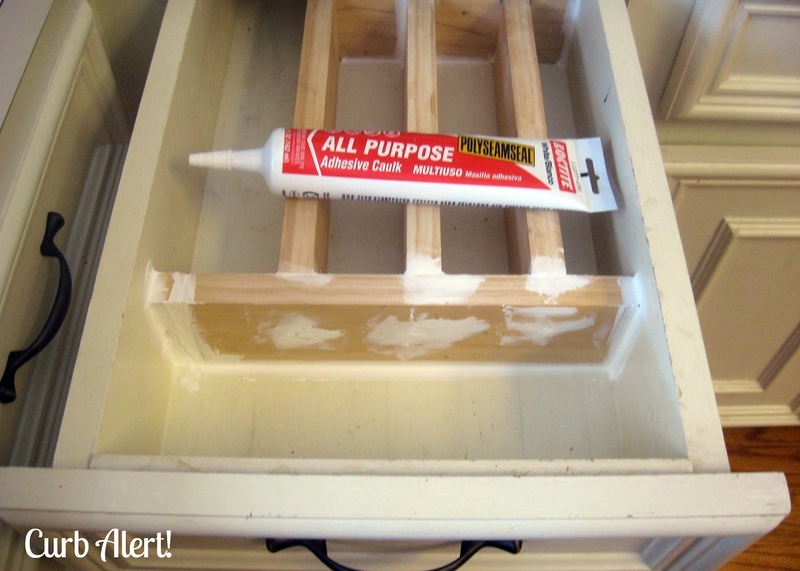 Sand them all down just a tad to get off all of the jagged edges and fit them into the drawers by placing a spacer between each slot to ensure they are placed evenly. 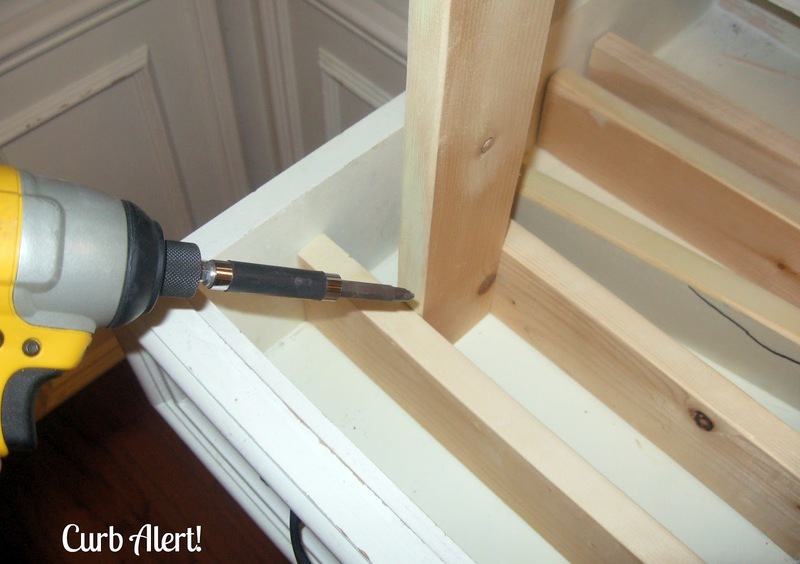 Then screw them into the sides of the drawers. I didn’t even take the drawers out of the cabinets! Again, Clorox Cleanup on the Kitchen Aisle please! 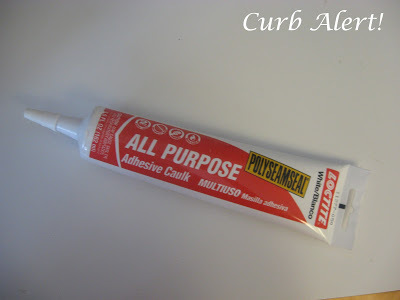 I then caulked around the edges. 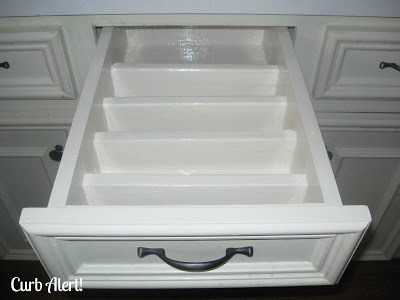 And painted with our Sherwin Williams oil based glossy white paint on hand. 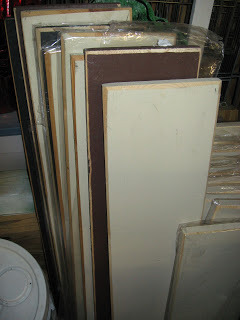 I love this paint but the fumes are strong and takes about two days to fully dry. Not fun for impatient Tami, I got a little anxious and recruited some help in the drying process! Now lets see the BIG REVEAL! I am in love (patting myself on the back)! I was so excited that I had to text a picture to My Love, Sister, Mom and Dad to show them how happy it made me! It made me VERY HAPPY! There’s even a place for sharp knives hidden under there! Now just needs to be painted but will have to wait a few days when I don’t have 100 kids running around. Sounds like a great weekend project, what do you think? Linking this post up to Debbiedoo’s Copycat Challenge on April 26th. Clever, clever! I love how simple and clean the drawers look now… and I love that you texted a photo of your cutlery drawer to your nearest and dearest. Ok now that's a really great idea! 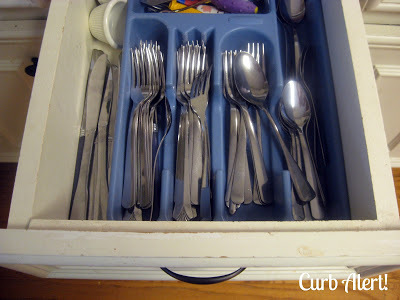 I have the same problem with too much silverware, 4 kids, and I don't like to cook… Now I'm going to try your drawer idea! This is awesome! You make it look so simple too. I love that you caulked it. 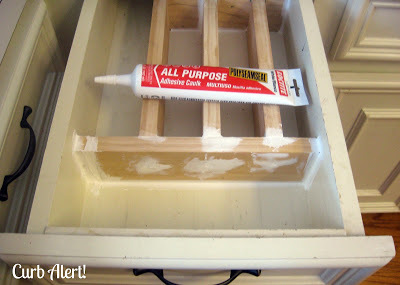 I am a firm believer in caulking things to give a finished look. Great job! Oh my gosh…these look awesome. Seriously my favorite project I've seen in awhile. That looks awesome! I never would have thought to build my own drawer organizers but it's genius! I have this same problem with my drawers!!! definitely going to pin this to remind me to come back and try it..what a great idea! thank you for sharing! This is great!! I showed it to my hubby and hope he can help! Visiting from Craft-o-maniac! I am seriously jealous! i have a gazillion modular type containers I've "tetrised" to create the look you did! But my question…how do the nooks and crannies clean? I'm a bit…obsessive about being able to dump out and clean. 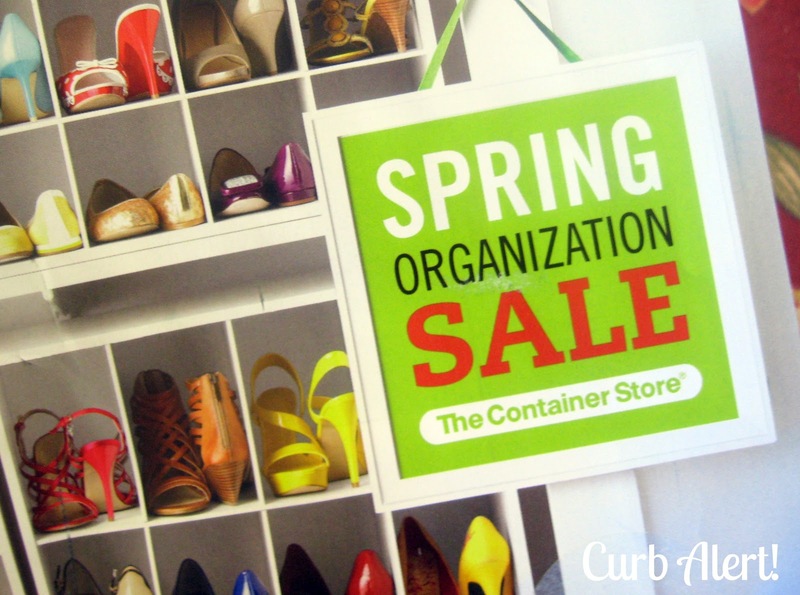 This is a wonderful way to organize, and you are an amazing girl! Way to go! 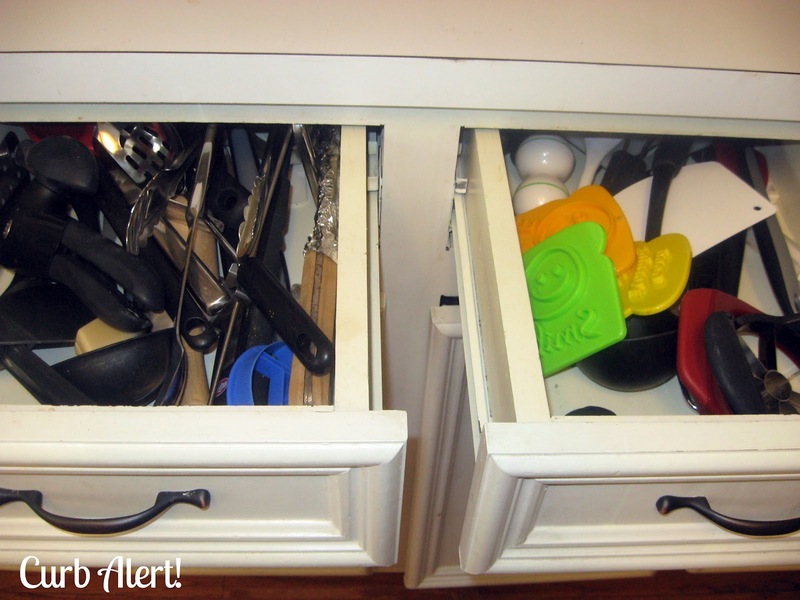 Absolutely fabulous – I have neat drawers, but they're filled with little plastic inserts. This is a much better solution! I love your solution for disorganized kitchen drawers. 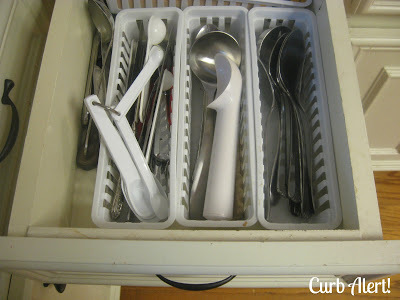 It looks so much better than the plastic trays I'm using right now inside my drawers for utensils. I'm a new follower and hope you'll stop by. What a great idea! We are actually having a friend rebuild our drawers because they are LITERALLY falling apart. I may try this on a drawer or two and see if stabilizes them enough to avoid a complete rebuild. Why do they make kitchen drawers so flimsy anyway? I mean come on folks… its a kitchen… we fill them with heavy utensils. 🙂 Love the idea!! What a great idea and $ saver! Yours looks better than anything you could buy…great job! Thanks for sharing at the Rock N Share! I'm sharing this on my FB page today. Love it! And it looks so easy. Is it possible to have a crush on silverware drawers? I LOVE what you did! I know what you mean about drooling over those organized drawers from the Container Store. However…yours, are MUCH better!! I am looking for a new home to purchase and I can't wait to get in there and make my drawers just like yours!! Thanks for sharing! Tooooo cool for school girl! I love this idea, and it is fairly simple. Thanks for sharing and joining in on the fun! You cracked me up that you were stalking all day LOL! You go girl! 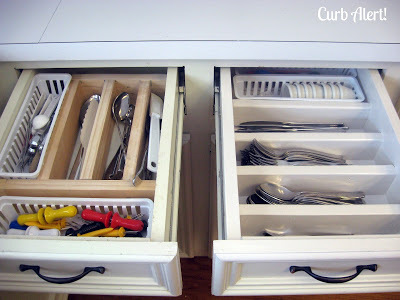 That looks so custom because you are so smart to figure out how to make those utensil dividers. Very cool. I saw your post (yeah! You're #1!) over at Debbie Doos Magazine Copy Cat Challenge. Tami, what an awesome idea! Your drawers look so pretty and organize! I know what you mean about oil paint! 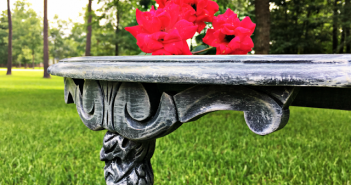 It looks beautiful when is dry and very durable, but such a pain to work with. Great inspiration! You are so creative! 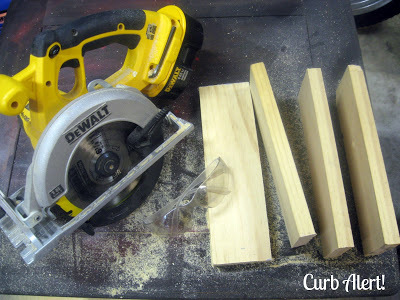 I need to do this….first I need to get a table saw. Thanks for the inspiration and the tutorial! You did a great job. 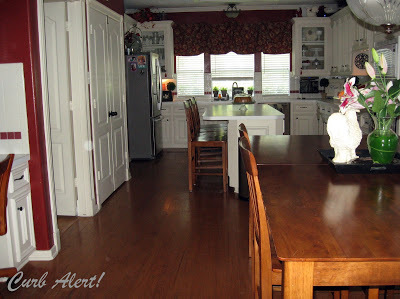 Pretty soon your whole kitchen will be fabulously organized, giving you more time to blog and visit parties, win/win. 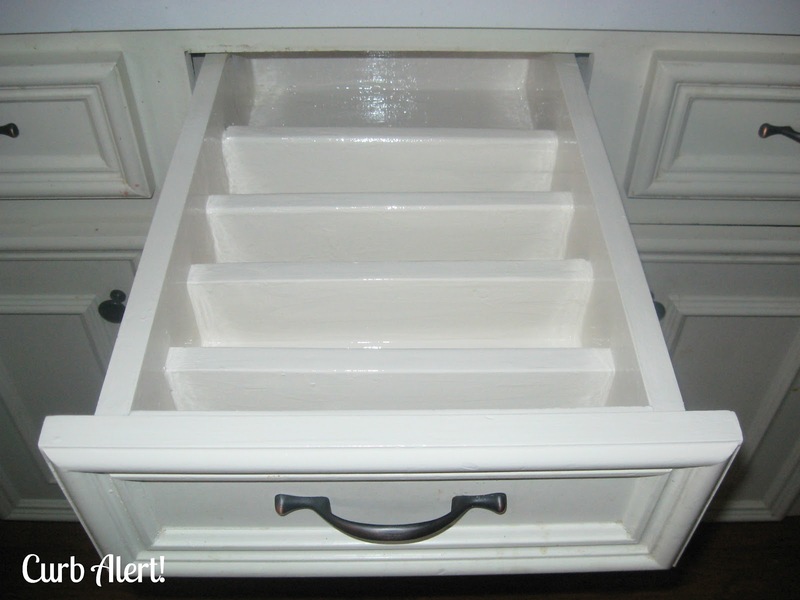 Wow, I have drawer envy! LOE this practical copycat. 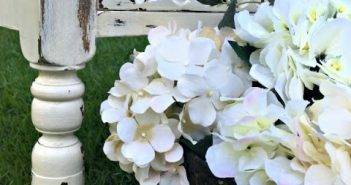 You did such a professional job–I love how it turned out! (There is no stopping a handy girl with power tools.). Your kitchen will look amazing when you're finished. What a fabulous copy cat project. It looks really great and so organized! I am behind on my reading! This is an awesome project! You did a great job Tami! Looks so nice. Such a great idea! It look more organize and easy to find things you needed. I have bought just recently drawer insert kits coz no hubby would work this for me. It is easy to install versatile and economic. 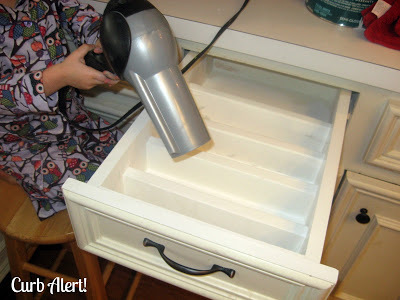 Hmmm, I think I will make this for dresser drawers – look out sock drawer here I come! Wow, I love this. We have the same blue plastic drawer divider. It kept sliding around the drawer till my husband glued it down. I will being copying this for sure. Tami, I've long admired this project and your ability to use tools. I'm pinning this project as motivation and inspiration to try new things. I LOVE this idea! Thanks for posting it. I am so gonna try it! This is such a smart idea! Your drawer turned out wonderful! I've been redoing and updating our kitchen recently and all our drawers are a mess. This is the perfect way to fix them. 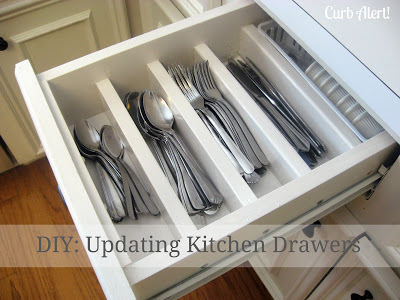 Now this is something I've wanted to have done for a few years, saw s similar idea for the silverware drawer dividers but it was using cardboard covered with contact paper and the directions seemed too complicated but yours makes more sense..while I'm sure the dividers are really strong, wouldn't a thinner piece of wood do the job just as well? Beautiful job..sure inspired me. It's going on my list of projects to do for 2014. thank Your for Sharing! I LOVE this project! 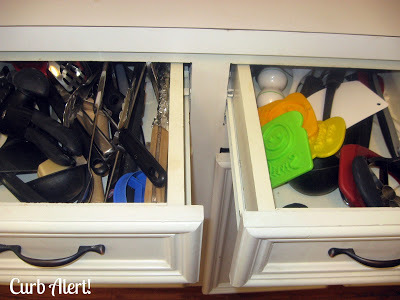 I have the plastic drawer organizers that slide all over the place and drive me crazy! 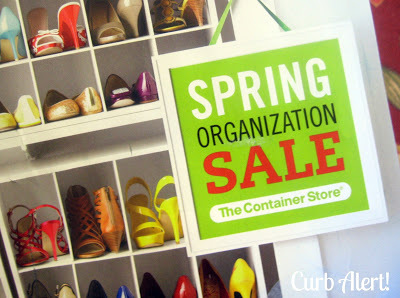 I featured your project on my organizing blog today, OrganizeandInspire.com! Great idea and one I will be implementing. Thanks so much. 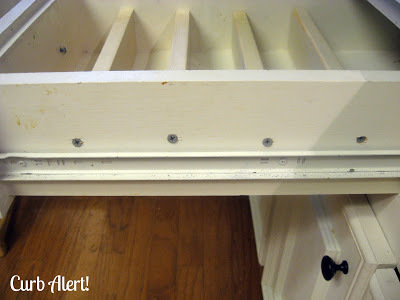 Lol…I did this to three of my kitchen drawers about two months ago. Absolutely love it and has really made a huge difference in being able to find stuff. I figure I have a minimum of two more to do. Love the silverware drawer done horizontally…I can fit in more silverware that way!